SmartOS chip card, Java Card, Basic Card, Memory Card, NFC, RFID, SIM, SIM Application Toolkit, Magnetic Card, Laser Card, Smart Card SDK. PKI, Digital Signature, Data Encryption, Secure Messaging, Strong Authentication, Privacy Protection, Single Sign-On, Biometric Recognition. Bit4id acquires the Cryptware's software and solutions completing Bit4id products portfolio focused for Developers. Cryptware is a smart company highly specialized in Business Enabling Technologies like Smart Cards, Mobile Apps, Cryptography, IT Security, Biometric Recognition, Artificial Intelligence and several other smart technologies. We offer Consultancy, Project Managemrnt and/or on-demand Software, Services and Solutions. Low Cost, Microprocessor, programmable Smart Card, with SmartOS operating system, 2, 8, 16, 32 KB EEPROM, T=1 protocol, cryptographic coprocessor, compliant with ISO 7816 specifications, PC/SC, PKCS#11, MS CryptoAPI/CSP, Electronic Wallet, SmartOS API for C#, VB Java and C/C++. Smart Card SDK is a development kit for programming applications with smart cards on Windows platforms. 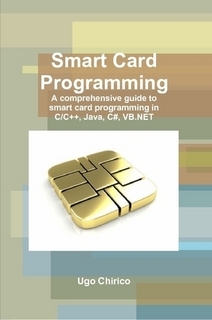 The SDK provides a set of tools, libraries and manuals for smartcard programming in C++, C#, VB.NET, Visual Basic 6, Java, Delphi and other COM interop languages, accompanied by several code samples in various programming languages. The SDK provides also some absolutely innovative libraries: .NET Smart Card API, SLE4442 API, .NET Cryptoki that simplify the integration of smart cards in applications that use smart cards. NCryptoki is a library for .NET framework that implements the PKCS#11 specifications and supplies an API for C#, VB.NET, Visual Basic 6, Delphi and other COM interop languages for integrating any PKCS#11 compliant token/HSM in any .NET application. QDigitSign is a library that implements the Digital Signature primitives as defined in the EU and international regulations. DigitSign supports PKCS#7, CAdES, PAdES and XAdES formats, Timestamp protocol, CRL and OCSP verifications and any PKCS#11 token/HSM.It is available for .NET Framework, Java, iOS and Android. Login Assistant is a lightweight, easy to use Single Sign-On tool that manages passwords for all your applications and services by a single authentication PIN. By Login Assistant you can definitely forget your passwords. The table of passwords, is encrypted and stored in an hardware device, such as a smart card, a USB hard disk or a flash memory card and is protected by an authentication PIN. The PIN is the only thing you have to remember to have access to all your passwords. Login Defender is a system for controlling access to your Windows PC using a smart card or token equivalent. Login Defender replaces the standard windows authentication module and offers a two-factor login: smart card + PIN or smart card + biometric recognition of fingerprint. NCNSAPI: .NET assembly for C#, VB.NET, VB6, etc. CNSApplet: to integrate the CNS in any web page.